I have to admit, I don't rate beers on any platform. When I started writing about beer over 8 years ago, it was either Ratebeer or Beeradvocate that people used for rating beer. There weren't even any phone apps to speak of though I vaguely recall some 3rd party apps appearing that interfaced with Ratebeer. I tried them years ago but they were cumbersome. Ratebeer has a few apps these days, some cost money and some are free. From what I can tell though, they still look to be developed by 3rd parties but endorsed by Ratebeer. As such, the quality varies significantly and the reviews of those apps wouldn't be particularly favourable. Recently, I have clicked in to Ratebeer to look at new Irish beers. The reviews are sparse and sometimes not there at all. Very few have enough ratings for a Ratebeer score and often there might only be one rating available. On random example I came across recently was YellowBelly's The Passion. A passion fruit lager. On Ratebeer, there are two entries from last year. On Untappd, there are 16 entries with the most recent being just over a week ago on January 29th. If I compare that to Untappd however, there are often hundreds of ratings. To be fair though, usually these are just in the form of stars with no actual descriptions of the beer by reviewers. I have tried Untappd a few times just to play around with but I didn't like it myself. I figure I'll just continue to use my blog for beers of note, good or bad. To me, as someone who doesn't use any beer rating website, I see a real decline in Ratebeer users in Ireland as they all seem to be switching to Untappd. I can see the appeal. The app is slick and easy to use and of course developed in-house which means they have full control over it. As evidence of the decline of Ratebeer users in Ireland, take a look at the Top beers from Ireland. Ratebeer: This shows pretty much the same list as the last few years. Nothing new appears in the list. Untappd: You don't have to scroll down very far to see newer beers, plenty of which I haven't even had yet myself. Ratebeer certainly has the best and most concise reviews. It acts now as a historical archive though. Galway Bay's Of Foam and Fury has 121 reviews at the moment on Ratebeer. It's the highest rated Irish beer on the platform. That wouldn't be too bad except the same beer on Untappd has a whopping 2,726 Ratings at the time of writing this. An interesting thing to point out is that this beer is number two on Untappd for Ireland with GBB's 200 Fathoms beating it to first place whereas on Ratebeer, 200 Fathoms gets spot number two. Perhaps Ratebeer and Untappd have different niches. Maybe Ratebeer is happy as-is but it can't be good to lose their users to a newer platform. I wonder is this an Irish phenomenon or is the same thing happening in other countries? Beeradvocate on the other hand never seemed to have an Irish presence. We don't even get our own country list as we share it with the UK for some reason. This is hardly fair as the whole of Ireland has about the same number of breweries as London! I've definitely found myself turning more to Untappd than RateBeer for doing research this last few months. I'm not interested in the reviews on either platform so don't mind that Untappd users tend not to bother. RateBeer Places is still excellent resource, though I suspect that might begin to fall off over time as well. 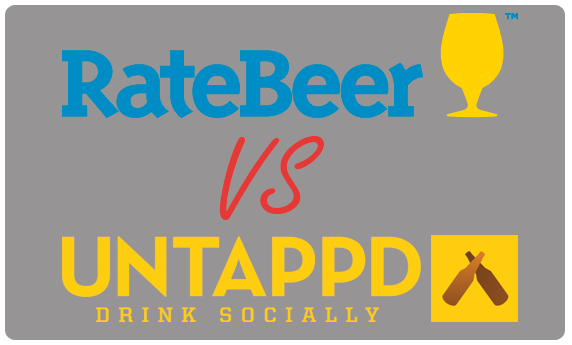 Exactly, there's no comparison between the quality of ratings on Ratebeer vs Untappd. If it's rated on Ratebeer, it will be more informative than Untappd. One could say that Untappd sees the "dumbing down" of beer ratings. This a a phenomenon duplicated across pretty much every medium. As a species, we are becoming thick eejits! Another way to look at it also is the Ratebeer app is terrible. Look at the reviews on Google. I use untapped for the handiness and easiest check list possible especially with the barcode checker. I rate for myself but don't use other people's rating as a guide. There are only a handful of people I follow on it that I would read their opinions. I've always used ratebeer more for the place ratings, but even that is going to disappear now that verified venues are increasing on UnTappd with live beer lists. Much more user friendly.